St. Paul’s Foundation announced the largest donation in Canadian history by a private citizen to a single medical facility. This unprecedented philanthropic donation will support the transformation of health care for British Columbians with the creation of the new St. Paul’s at the Jim Pattison Medical Centre, a world-class medical and research centre in the heart of Vancouver. The new Jim Pattison Medical Centre will be a purpose-built, fully-integrated health campus, comprising the entire 18.4-acre site on Station Street in the False Creek Flats. Building on St. Paul’s global reputation for leadership and innovation in clinical care and research, the Jim Pattison Medical Centre will be a hub for services that reach across Vancouver and the province of B.C. The Jim Pattison Medical Centre will include St. Paul’s Hospital with its associated acute-and-critical-care programs; the provincial Heart Centre, Centre for Heart Lung Innovation, the BC Centre for Excellence in HIV/AIDS and other centres of excellence in health care and research; primary care and specialized outpatient clinics; the PHC Research Institute; research facilities; and life sciences industry partners. The new Centre will lead the delivery of B.C.’s new model of health care by providing patients with the highest quality integrated, compassionate, patient-centred care. 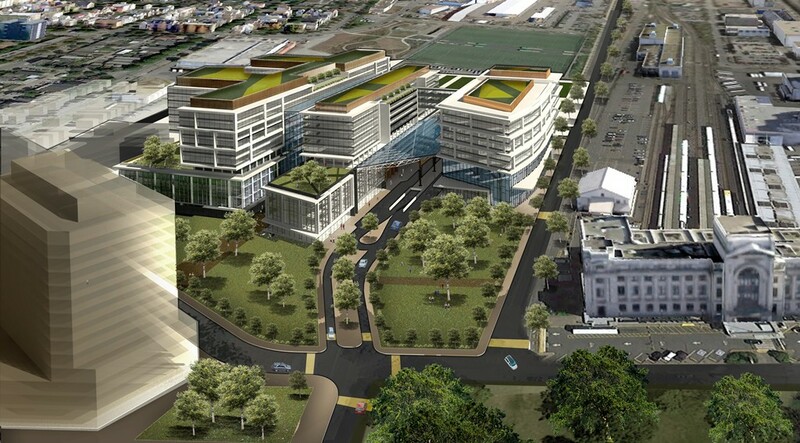 In planning the new Jim Pattison Medical Centre, St. Paul’s has the unique opportunity to begin a project of this magnitude from a blank canvas. This allows the freedom to design and develop a medical centre that is built from St. Paul’s philosophy of patients first. This will translate into a health campus that is specifically designed for unique and diverse patient populations to provide an improved patient care experience for all. Images and video of the new St. Paul’s and b-roll of announcement can be downloaded here.